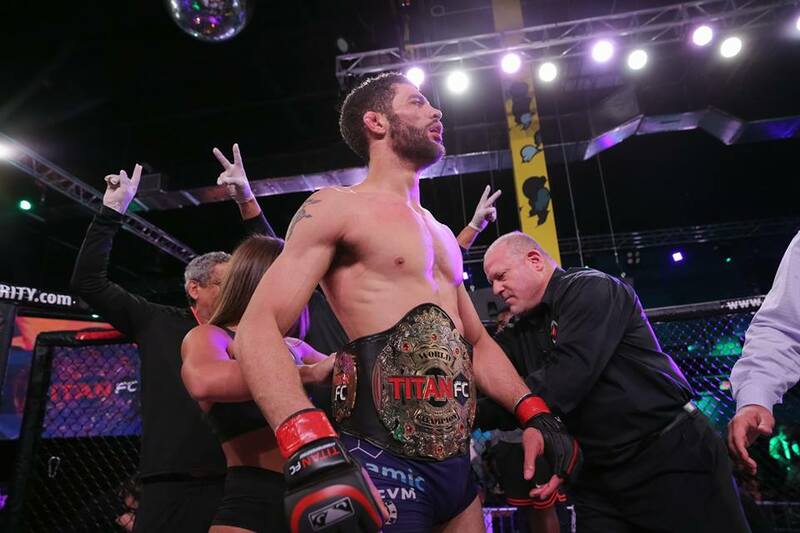 Fresh off becoming the new Titan FC welterweight champion, Jose “The Fresh Prince of Kendall” Caceres (14-7) has a foe in mind to defend his strap for the first time. Caceres, brother of UFC fighter Alex Caceres, defeated Rami “The Russian” Hamed at Titan FC 49 earlier this month in Fort Lauderdale, Fl. The Roman Show caught up with the newly crowned champion soon after his victory. He has an opponent in mind and he wouldn’t mind defending the title June 29 at the monumental Titan FC 50. Caceres said he knew this time would arrive. Both competed at Titan 48, but the fight was ruled a no contest after a kick to the groin from Caceres. But unlike the first meeting, the second time around there was a winner despite the fight coming close to the same result. Caceres spoke about his unorthodox style of fighting.